Strong, inexpensive, easy to use. Sew almost anything. 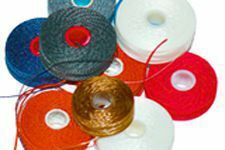 Use nylon thread for sewing almost anything that requires strength and durability. It is strong, easy to use, and a great choice for sewing fabric, leather, canvas, and vinyl. 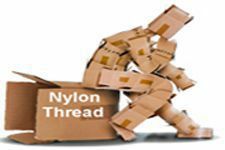 We sell nylon thread in eleven thickness sizes that range from hair-thin to cord-like. 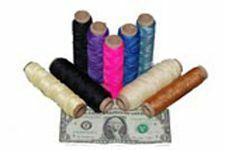 Save 10 to 20% off single-spool prices buying nylon thread in case quantities. 2 and 4 Ounce spools of nylon thread for small jobs. 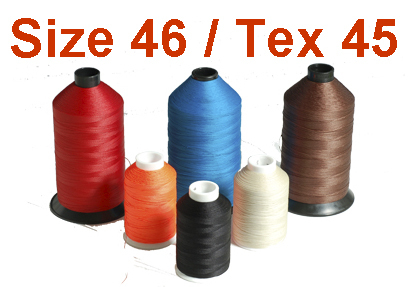 Available in nylon, polyester, polypropylene, monofilament, fire retardant, and Kevlar. These tubes have about 100 yards of thread and come in many sizes and colors. Available in nylon, polyester, and Kevlar. Mixed nylon and polyester thread in 5, 10, and 50 Lb. boxes. 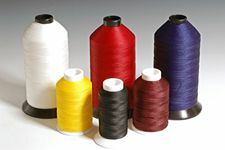 Thinner, single-ply thread used for double-needle, and multi-directional sewing. UV Rated where listed. 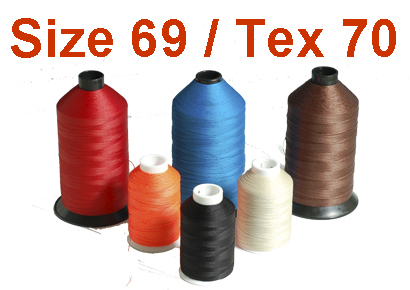 About 10 to 14% stronger than regular nylon thread. 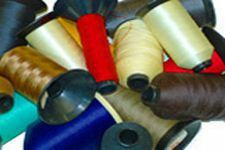 Bobbins pre-wound with choice of embroidery, sewing, or upholstery-type thread. 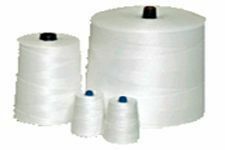 Nylon monofilament thread has a transparent look that makes stitches as 'invisible' as possible. 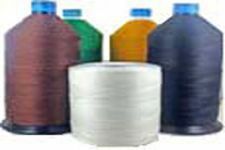 Thread Sock, is a netting that helps to prevent thread from puddling or 'bird-nesting' on the bottom of the spool. 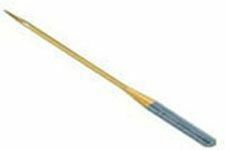 It often helps thread to feed smoother, and is great for storage. Manufactured by the Henry Campbell & Company of Ireland. 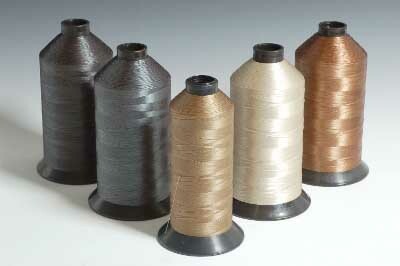 This thread is a blend of polyester and flax linen. 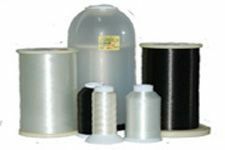 Kevlar thread is about 2.5 times stronger than nylon or polyester, has almost no stretch, does not melt, and decomposes at 800 F.
Polypropylene thread is a high bulk, naturally antistatic thread. Machine needles in a wide variety of systems and sizes.